From my Lovin’ Oven! You can trust this recipe-I’ve developed/tested/tasted it for over a year. Preheat Oven to 350 F. Convection. In a large bowl mix dry ingredients with a large fork. In another large bowl- whip **eggs, add bananas and mash until liquid. Add the rest of wet ingredients. (**ROOM TEMPERATURE SO coconut oil will NOT solidify). I use a large whip. Add dry and wet together and then add walnuts and chocolate chips. Coat 2 —8X14 Bread Pans with coconut oil. Fill pans 1/2 way with batter. Let rest for 3 minutes. Bake @ 350 F. Convection for 40 minutes. Test with toothpick-poked in middle comes out dry. NON-convection oven- I suggest 375 F. for 40 ish minutes. Test with toothpick. ***Let cool in pans for 7 minutes. 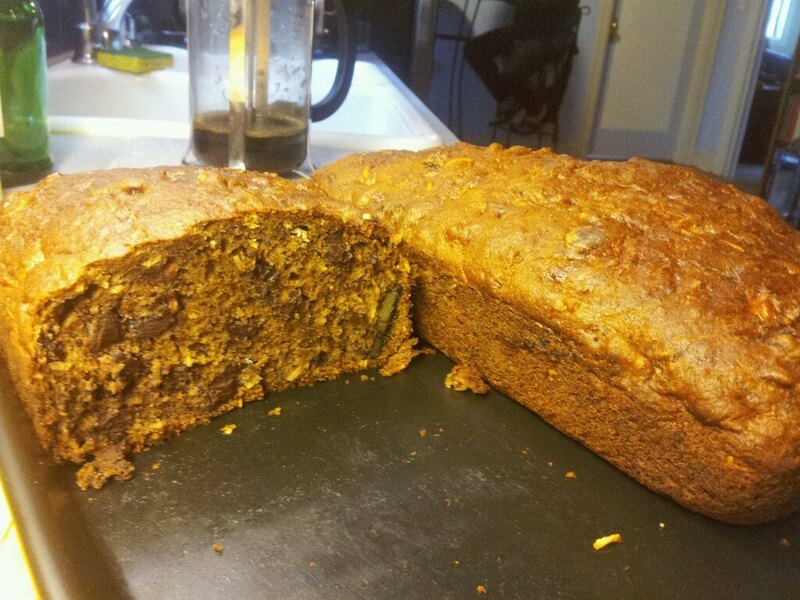 When cooled to room temperature, the banana bread will be sweeter in taste. 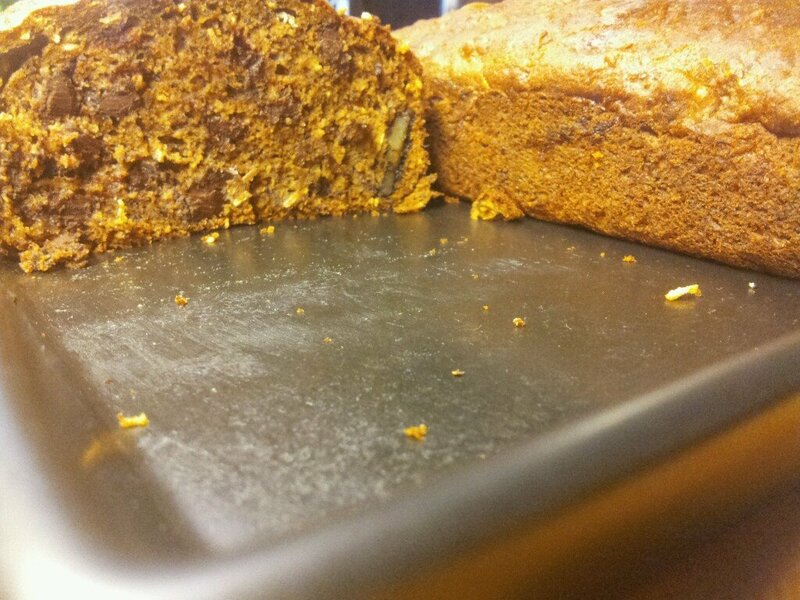 FOR PUMPKIN BREAD: Can substitute 2 Cups Pumpkin for Bananas. Add Nutmeg, Allspice, Clove spices and 1/2 tsp Fenugreek. I don’t add poppy seeds to pumpkin recipe.